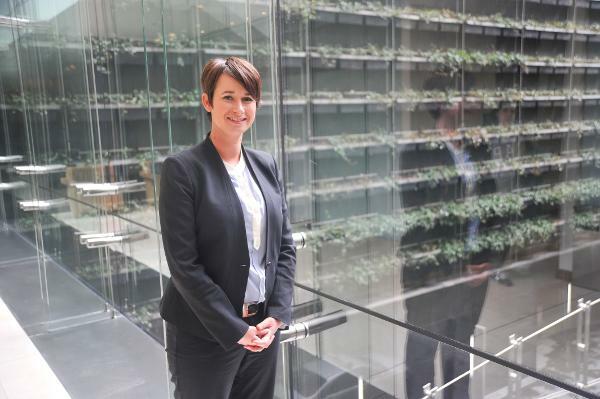 In mid-2014, Tatts Group CIO Mandy Ross started experimenting with introducing lean methods and creating agile project teams to test and prove that a more responsive way of working could be achieved in such a highly regulated industry. Two years later, two pilot projects are now very much a key part of the organisation’s regular operating environment – one to integrate a third party booking app into its wagering platform, and another to launch its retail betting offering ‘UBET Live’. The projects – although inhibited a few times by hardware design – are perfect examples of taking customer feedback and building it into a product, Ross tells CIO Australia. UBET Live, which allows users to place bets using a customised app running on tablets in retail settings such as pubs and clubs, has been piloted in two venues in Queensland and will be rolled out at 20 venues across the state over the next six months, Ross says. The third party booking feed initiative, which saw the company’s range of products offered online increase from hundreds to thousands, has already had a positive impact on revenue being generated by its wagering business, Ross says. The offering aligns with laws around live betting that only permits gamblers to place live bets in a retail setting. “Some corporate bookmakers are operating in a grey area. ‘UBET Live’ enables the consumer to place a bet during the game using tablet devices in retail. It’s not legal to use your own device to do that,” Ross says. Tatts Group now has 12 development teams who are on an agile journey, in “some way, shape or form” she says. “Everyone has had initial training – teams are at different stages. Digital teams are often more advanced than some of the traditional platform teams,” she says. Digital teams are releasing fortnightly and weekly application upgrades compared to monthly upgrades previously. Teams that have been traditionally responsible for supporting Tatts’ core platforms, which are similar to banking systems, have also moved from quarterly to monthly releases. Ross says Tatts will continue to push harder on both fronts to reduce release times even further. Ross has also worked to increase the visibility of IT-led activities within the organisation, allowing various business units to provide more input into projects, specifically initiatives that are being developed through agile rituals such as ‘morning stand ups and showcases'. “We are showcasing the latest product or changes every fortnight, so that visibility is enhancing us [the IT group] as being viewed as a partner within our business units,” Ross says. But the journey is not done and Tatts is still educating staff on the benefits of a more agile culture, making it safe for them to experiment, and illustrating internal examples where teams have achieved good outcomes, says Ross. A key challenge in moving to this new way of working was to ensure the gaming and wagering industry’s regulators would provide their support. This meant engaging with the regulators early and often, says Ross. “Overcoming that barrier has been an internal issue, but the regulators have been very happy to engage with us and lot of what we are doing is actually improving visibility and transparency for them,” Ross says. Another challenge of moving this environment is dealing with the misconceptions and misunderstandings around what being agile actually means. “Everyone has their own perceptions of what that means, or experiences and war stories. What I have tended to do is move away from the popular words and starting talking about it in terms of our way of working and customising it for our environment so we are not just taking something from another company,” Ross says. Tatts Group is focusing on attracting local digital talent to help build the organisation’s digital capabilities, says Ross. “Where we are at in our transformation journey, it’s really important that we build a core capability, then as we need to scale, we will look at all of the reasonable options for achieving that,” Ross says. Under a new infrastructure transformation initiative, Tatts Group has created a hybrid infrastructure strategy that includes using co-location and cloud services. This coincides with plans to re-locate to a new office in Brisbane city in early 2017 and is a significant move away from its traditional strategy of owning and operating data centres. Ross says the organisation is already making use of software-as-a-service (SaaS) offerings for commodity services like HR, which don’t necessarily differentiate the organisation from its competitors. “We are working to find the right balance; our considerations are around what we can do from a regulatory point of view – we want to be responsible on that front. Some digital assets, such as Tatts’ corporate website, are already in the cloud, but Ross says she wants to push more across to take advantage of the agility and cost savings provided by cloud services. Mandy Ross will discuss how to enable digital transformation by building an agile framework, process and culture at the Women in Tech conference in Sydney on June 15.